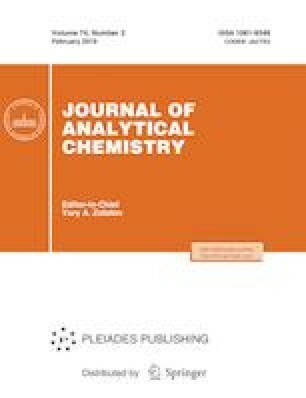 Two flow injection analysis (FIA) systems for determining nitrazepam (NZP) in pharmaceutical formulations using two kinds of solid-phase reactors were developed. The first system involved on-line oxidation of the reagent using a mini column containing PbO2 immobilized on cellulose acetate, while the second one involved on-line reduction of drug using a mini-Jones reductor. Both methods are based on spectrophotometric method involving oxidative coupling reaction to phenothiazine with reduced NZP in the presence of a suitable oxidizing agent to form a green color product measured at 615 or 589 nm for the two methods, respectively. The calibration graphs were linear over the range 0.5 to 45 and 10 to 250 μg/mL with a relative standard deviation less than 3.6% (n = 32) and 2.4% (n = 35) for the two methods. Solid-phase reactors can be applied for the determination of NZP in a FIA with high sensitivity and significant advantages over conventional procedures.